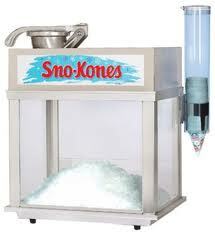 Sno-cone machines grind the ice and hold it in a receptacle with a drain. It will accept any ice as long as it is small enough to fit down the chute. This includes most cubed ice. 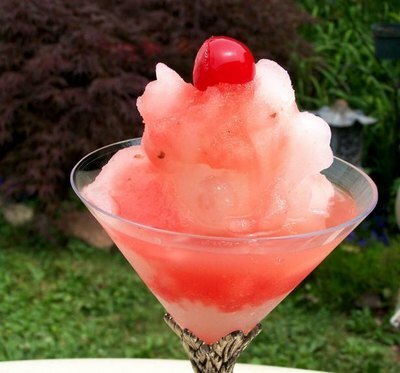 It takes 1/2# of ice to make a typical sno-cone. We have the machines for rent and the pointed paper cups and flavored syrups for sale. The universal favorite is anything red (cherry or strawberry)!